Do you believe that you have valuable information, tips or best practices that you would like to share on the subject of dreaming big? Then maybe you have what it takes to be a guest post author on 8 Women Dream. We are more than happy to share other successful big dream stories here on 8WomenDream. There is far too much to say about launching big dreams and what it takes, to only leave it to us. We gladly welcome other perspectives, even dream perspectives from men. The content of 8WomenDream guest post articles should provide value to anyone attempting to accomplish a big dream. We receive volumes of pitches for guest posts on 8WomenDream–too many to track and personally respond. We have a set of predetermined guest post guidelines so that authors who wish to offer a guest post (or two) can use this page as instructions for articles accepted for publication on 8WomenDream. • You need to be a someone with a big dream with an active blog, website or social media presence or a writer with a published or about-to-be-published book. 8WomenDream accepts, and publishes, submissions from a wide variety of subject matter experts. You do not have to be a leading author or well-known online personality to be a contributor. Content is reviewed on merit, not on who is submitting it. • We must be able to verify that you own your blog/website/social media profile you wish to use with your article through WhoIs.com and/or the About page on your blog/website/social media profile or verify you through your book publisher, pr firm, or agent. • Your blog/website About Page/social media profile must have your picture and contact information, and if you are pitching your book, your book must have the same name. 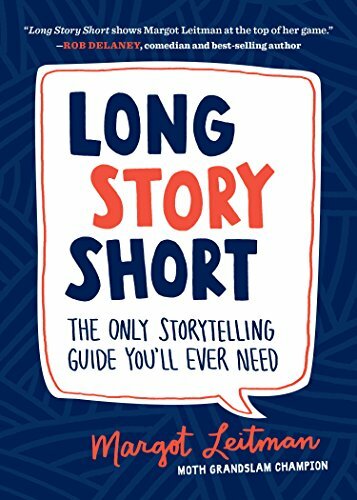 • If you have a how-to dream big story that you think will benefit our readers, you’re welcome to share your story (or stories) through guest posting. However, you must already have a basic understanding of how to write for the Internet and how to make the most out of a guest post opportunity with 8WomenDream. • You will need a byline bio under 280 characters about you along with a 50×50 professional head-shot photograph (of you) that is optimized for use on the Internet in .jpeg/jpg format. • No links out are allowed in the body of your story. The 8WomenDream editor-at-large places any necessary links. We will link to where to purchase your book, dream product, or service you have created and to your website or social media platform. • You must use the word “dream” at least three times in your article. • Post titles are produced by the 8WomenDream editorial staff, but you should submit your story with a title idea, so we understand what your article is trying to convey with your title. • When quoting others’ work, please include attributions within the body copy following journalistic, Associated Press style. Do not include footnotes, endnotes or lists of references. • All articles must be submitted in Word or pdf format or within the body of an email. Google doc links will not be considered. • All article submissions are subject to be edited for accuracy, clarity, quality, and length. Changes will be made to the content and format of all articles on 8WomenDream to ensure they are SEO-friendly and easy to read. While 8WomenDream will make every effort to work with you on any editing, we cannot guarantee that you will have an opportunity to review the final copy of your submission before publication due to time constraints. • You must be willing to share your article through your social media channels. • Compelling, unique content–not published elsewhere on the Internet. • Pre-edited. Meaning you have already run spellcheck on your article and checked it for grammar mistakes. Articles are immediately rejected if it appears to be a draft copy and not copy ready for publication. Do not make 8WomenDream do your first draft editing for you! • A big dream story that includes a “how-to” section or advice for the reader. • Include an image (or images) that you have the rights to publish. Images should be 400 w X 300 h (pixels) and prepped for web use in a .jpeg/jpg format. If you do not have an article image, one will be chosen for you by the 8WomenDream editor-at-large. You will not have a say in the image choice, but the image selected for your article will follow the theme and tone of your written piece. • Any story related to uplifting the role of women in the world. • A sales pitch for your website or product (unless this is a product we’ve approved). • Anything that is not suitable for a family audience. • Less than 750 words. • Plagiarized content or images. • Material strictly for link-baiting. • Content from authors who cannot be verified. • Content not edited for spelling and grammar mistakes before submission. If you have a dream story that meets the above guidelines, email your COMPLETED story to pr(at)8womendream.com. Publication of articles will be at the sole discretion of the 8WomenDream editorial staff. Due to the high volume of guest post requests 8WomenDream receives, responses to messages following up on the status of a guest post submission may be delayed for 6-8 weeks. We encourage you to check the 8Womendream home page for your story submission once it is approved. Note: Stories that do not meet the above criteria and any email inquiries where it is clear that this page has not been read will not receive a response from 8WomenDream. Upon email submission, you hereby certify that the material you are submitting to 8WomenDream is original and written by you. You further certify that your submission has not been published elsewhere, and will not be submitted elsewhere for publication, with the exception of your websites, book(s), and other media belonging to you. By submitting your story, you also certify that you permanently and irrevocably transfer copyright ownership of your submission to 8WomenDream, including any and all subsequent use, including online and any other subsidiary rights worldwide, including but not limited to the right to transfer and assign any of our rights to any other parties including entities owned, controlled or related to 8WomenDream, with the exception of your right to display your submission on your own website(s), book(s), and other media. You further certify that you are over 18-years-old and that your submission is not subject to any prior liens or encumbrances; does not violate any statutory or common law copyright; does not contain any plagiarized passages or statements nor violate any right of privacy, nor contain any libelous, obscene or other matter contrary to law. You agree to indemnify and hold 8WomenDream harmless against any loss or expense occasioned by my breach or alleged breach of these representations or any of my warranties and representations hereunder. In the event that 8WomenDream.com does not publish your submission within 3 months of receipt, (“publish” includes but is not limited to publishing online whether on this or any other website) this agreement shall be null and void and all rights shall revert to you. Your submission is considered bound by this agreement and may not be assigned by you to others and shall be binding upon your heirs, executors, administrators and assigns. It shall be interpreted in accordance with the Laws of the State of California applicable to contracts made and to be entirely performed therein. You also agree to hereby indemnify and hold 8WomenDream its agents, affiliates, officers and employees, other content providers on this website harmless against any and all liability and costs, including reasonable attorney’s fees, in connection with or arising out of the Work and and the warranties, or breach of any applicable law or regulation, whether or not referenced herein. If any dispute arises over the terms of this agreement or any of the above warranties, you agree to submit to binding arbitration, the venue for which shall be Sonoma County, California. The terms and conditions of this agreement constitute the entire agreement between you and the other parties named herein. If any of these provisions is found by a court or administrative body of competent jurisdiction to be illegal, invalid or unenforceable, the remaining provisions shall not be affected. You expressly acknowledge upon email submission that you have read this agreement and understand the rights, obligations, terms, and conditions set forth herein and that by emailing a submission to 8WomenDream, you consent to be bound by them. Please review the 8WomenDream Terms and Conditions and Privacy Policies on the Legal Page here.